Drs. Rachel, Janice, and Jessica Knox answer your big cannabis questions on the Green Flower stage. Dr. Rachel Knox is far from your average physician. She is part of a family of physicians who are all educated in various fields of medicine, and who all share at least one common trait – they have trained themselves regarding the endocannabinoid system, and their expertise allows them to make recommendations for medical cannabis patients. Rachel Knox addresses a lot of the fears and misconceptions people have about cannabis. It all started with her mother, Dr. Janice Knox. “In 2013, while my sister and I were in residency, my mother was approached to start giving medical marijuana recommendations – and she described the experience as very revealing,” Rachel says. It was watching her mother’s reaction to assisting medical cannabis patients that inspired her and her sister, Dr. Jessica Knox, to get more involved in the cannabis industry. “This was at a time when doctors and colleagues might get thrown into rehab for using cannabis and get slapped with a fine. But my mother would talk to me and my sister about the kinds of patients she was seeing,” Rachel explains. The Knox family are helping shift the paradigm of how doctors embrace medical cannabis. Eventually she and her sister were inspired to follow in their mother’s footsteps and began learning more about cannabis as medicine, and how to treat patients using the science of the endocannabinoid system. What seemed like a small step into a semi-unknown field quickly snowballed into a full-blown career move. “We wanted to push the envelope and do something a little different with our education,” Rachel notes. Dr. David Knox speaks about cannabis myths at the Cannabis 101 Summit. Each member of the Knox family has their own specialization – Rachel studied family medicine, while her sister Jessica studied preventative care. Their mother, Dr. Janice Knox, worked as an anesthesiologist for 30 years, and their father, Dr. David Knox, works in the local emergency department. Even their brother, although not a physician, works as a lawyer in Oakland and often sees cannabis business clients on the job. “We're just doctors who can write authorizations, but we needed to be able to offer them more,” she insists. Together with her mother, father, and sister, the Knox family began developing a clinical model to treat medical cannabis patients and decided to create the American Cannabinoid Clinics, dedicated to promoting education and the science behind the endocannabinoid system. “It happened to all of us collectively. These patients had questions – what products do I use, and how do I use them,” Rachel says, explaining the passion behind their clinical model. One of the more interesting effects has been seeing her father’s journey. “He works in the emergency department and he wants to work straight on through until retirement,” she remarks. “In Oregon, there is an increasing number of patients who overdo their cannabis therapy and end up going to the emergency room. This is what a lot of cannabis opponents use as an argument against legalization, but really, this just highlights the need for education,” she says. The journey of the Knox family began in California, but they are licensed to practice medicine in California, Oregon, and Washington, and their influence continues to expand. When asked how she feels about the various programs from state to state, Rachel pauses to reflect on the similarities and differences. As a part of the American Cannabinoid Clinics, she and her family are in a unique position, practicing medicine in multiple states with varying medical and adult-use cannabis programs. 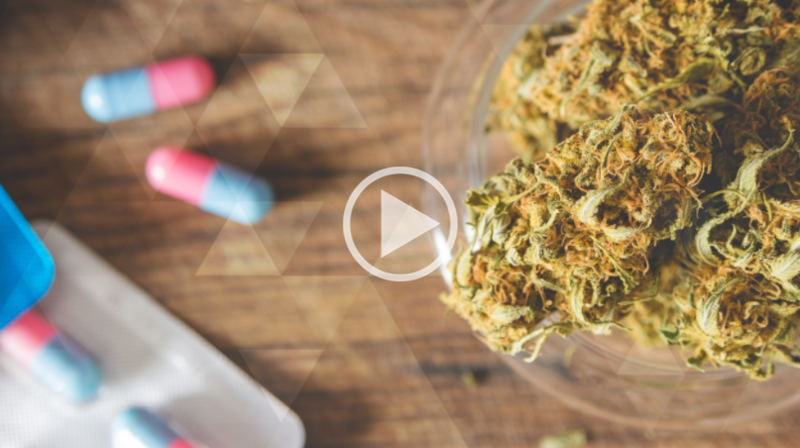 One of the biggest and most exciting prospects for the Knox family is the prospect of treating out-of-state clients, who travel far and wide to visit the American Cannabinoid Clinic. The future of the American Cannabinoid Clinics will also be based almost entirely out of Oregon soon enough. Keep an eye out for the American Cannabinoid Clinic, coming soon to Portland. Watch the Knox Family on Green Flower! Do you wish more doctors were properly trained in cannabis?